I have confidence issues. I always had it since I was a child and too young to even know that it has actually a name. Anxiety doesn’t exist in our small village like depression and mental health. They are often the topics that invoke so much laughter so I have learned to fake that I don’t have them until I actually believed that I really don’t. Faking and hiding felt it was like keeping a piggy bank where loose change go. without knowing it, the piggy bank became eventually full and has exploded. Traveling solo has helped me cope and recover. 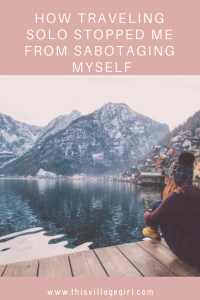 Without really realizing it, these negative self talk were damaging my self-esteem. I really do. Until now and most of the time. Okay. All the time. It is not cute and it frustrates the hell out of me every single time. In the Philippines, no matter how poor they say our country is, we have enormous shopping malls. And because they are so big and direction has always been an issue for me, I have always needed to call a friend when I couldn’t find my way out of the mall after many failed attempts. My friends, family and everyone made my life easy. So when I moved to Malaysia by myself, it has been a surprise how I always somehow manage to find my way back to my place or a place where I want to go. When I started traveling solo, it has always been a wonder how I am able to manage on my own. I have always figured it out. I still am not good with directions but I don’t stress about it anymore. I know, I just know, that I will figure it out like how I always do. Now I consider it as a hidden talent. A special gift that no matter how lost I get, no matter how I can’t seem to learn how to read maps, I am able to survive. It’s actually more fun this way. To be random and to not actually follow what has been proven and tested by other people. It actually feels better to just do it by listening to my gut and to my inner GPS. I will figure it out like how I managed to find my hotel in Laos written in a different characters or like how I managed to stay alive after my close encounter with raging motorbikes in Ho Chih Minh. I’m so broke. I can’t afford it. Traveling Solo is just so expensive. We get what we manifest. We get what we say. And for the longest time that I have been saying this to myself, I noticed that it has started becoming my reality. I underestimated the power of words in achieving what I want. Saying that I’m broke became like an affirmation. I have manifested that I couldn’t afford to do it so I didn’t do it for as long as remember. 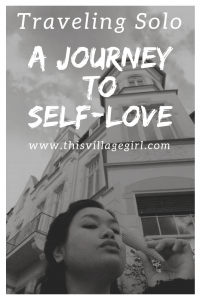 But when I started finally traveling solo, I proved myself wrong. Traveling solo is not as expensive as I perceived it to be. Traveling solo taught me how to be wiser and smarter when it comes to money. It introduced me to the world of budgeting. My financial knowledge has dramatically improved compared to when I haven’t embraced the art of going solo where I can actually practice all the theories I have learned. I learned which sacrifices are worth doing to get what I want and to live the life that I am secretly dreaming of. I became more clever and resourceful. I wanted to travel more but my salary from my day job alone wasn’t always enough to get me by until the next payday. I have resorted not just once to the free drinks and digging biscuits from our office pantry. I know I needed to do something so I started teaching English on the side. This way I gained more friends outside my race, built more relationships, heard more inspiring stories and afforded the lifestyle I fantasize about. Traveling solo, seeing different things without anybody’s influence have opened my mind in so many different ways I could never imagine. This way, traveling made me see abundance where I only saw scarcity before getting to know it. People will look at me. People will think that I am a loser for eating alone. I don’t know where it came from but all I can remember now is that I couldn’t even stand going to the ladies room alone. I always wanted my friends around me when I do. This is definitely, well maybe, a Filipino thing. In reality, other people have actually so much on their plates to even think of why I’m sitting alone in cafe or a restaurant. Some are even amazed that I go alone. Turns out that not everybody has the guts to explore other countries alone. Now, nothing is sweeter than sitting in a nice cafe with a good book and a latte. This is even a part of my self care ritual. What I perceived as scary before is now one of the best little things in life I enjoy. Traveling solo has clearly cured my anxiety and self-confidence issues. Before I would shrink when I need to ask about something but now, I still get surprised that I can ask questions without so much fear. I can even voice out what I want and how I want things to be done. Traveling solo didn’t only cure my anxiety. It has also improved how I am when it comes to relationships. I have lesser fears in voicing out my concerns and I don’t sugarcoat things anymore. This is one of those things I often accuse myself of and even as a joke that I didn’t know that has been hurting my self esteem for so long. I used to say it out loud so often that it has started feeling like it is my second nature. It even started becoming a valid excuse when I failed at something that I did and not wanting to continue to try other things too. It’s so easy to say that the reason why I couldn’t do a particular thing was because I am stupid. Why? Because I have said it so many times that I have unconsciously convinced myself that it is my truth. 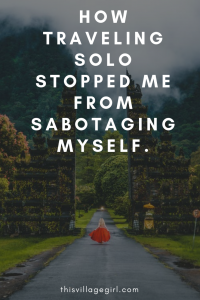 Traveling solo taught me to be careful about what I tell myself because of the possibility of it shaping my thoughts and beliefs not just about myself but about everything around me. Traveling solo has made me respect myself in many little ways that I didn’t before doing it. My self-confidence improved. My first solo trip to Thailand was not how I envisioned it to be. I was thinking of arriving sweetly in my hotel, sleeping the night away and starting to explore the next day but it didn’t happen. Instead, I found myself alone in the wee hours of the morning, carrying a big backpack in the middle of unknown streets looking for a hotel where I could spend the night because my flight got delayed, the driver couldn’t find my hotel and when we finally did, the reception has been closed but I still went on with my legs shaking and my heart thumping loudly inside my chest. I tried to focus and be alert on what can happen in case a mugger appears from somewhere to take my belongings with him or even try something more cringe-worthy. Was I not scared? I was scared but I still continued walking. My parents and grandmother always tell me not to walk in dark alleys at night but there I was walking not just in the dark but also alone in a foreign land. News said that it is not safe out there but I didn’t believe it. If I did, I will still be in our small village thinking what being out there feels like? I’m glad I didn’t believe that and I’m glad that traveling solo has made me question and disagree to what the society is always saying. I am still scared but that will not stop me from carving my own path. Traveling solo helped in making me believe in that. Go. Travel solo. You’ll be amazed. So true! 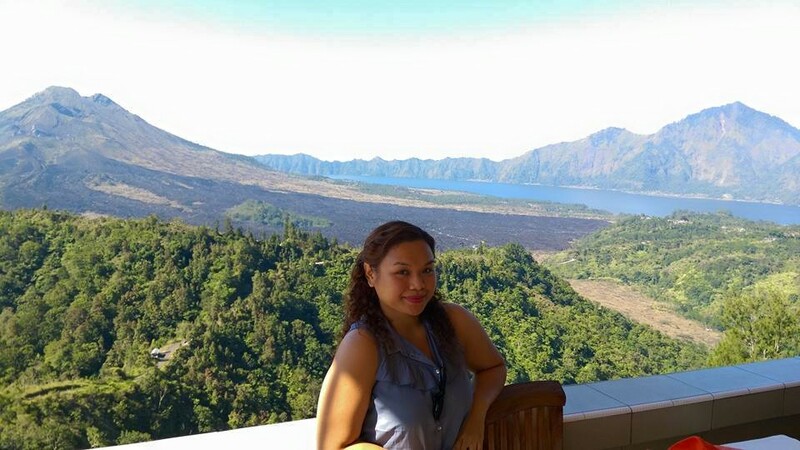 Travelling solo is such a good exercise for building our self-resourcefulness! Next Post The Liebster Award: I Got Nominated!